For example: alert(), getElementbyId(), write() etc. 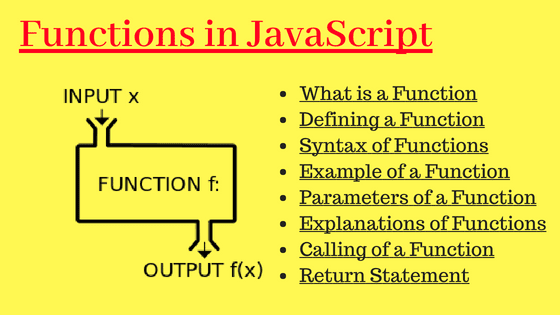 Here we can write our functions too. In the Early Examples we use functions without parameters, but as we said earlier we can pass parameters too to a function. These parameters are to be used inside the function and on the basis of the values of these parameters some manipulation inside a function can be done. A function can take more than one parameter separated by a comma.